In local SEO, creating and maintaining local citations is an essential part of ranking. Managing citations also happens to be one of the most mind-numbing tasks an SEO or business owner could possibly work on. Today I'll show you how to organize your efforts for max efficiency. In local SEO, creating and maintaining local citations is an essential part of ranking. It also happens to be one of the most mind-numbing tasks an SEO or business owner could possibly do -- perhaps second only to backlink removal. If you’re not organizing your work efficiently, it can burden the process even more. In this tutorial, I’ll offer a quick overview of the problem at hand and a simple spreadsheet template to help guide your manual citation cleanup efforts. While it won’t make manual citation cleanup easy, they will help you produce and organize citations more efficiently and consistently. 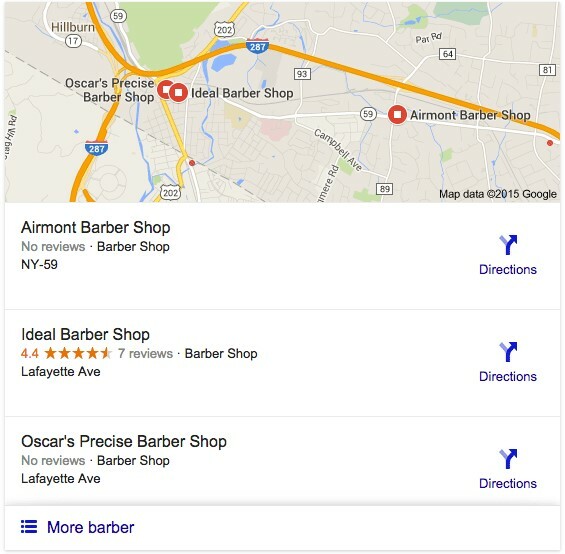 In turn, that business stands a greater chance of ranking for the local pack when a searcher uses local keywords. 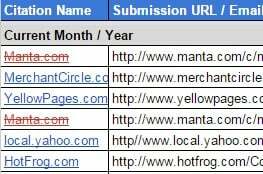 To boost the odds of getting found, we build citations by submitting a business’s details to websites such as social media profiles and industry / location-specific directories -- like those Moz offers here. Your run-of-the-mill citation, featuring WTC Marketing’s NAP. Aside from submitting information to new websites, you’ll likely face the problem of cleaning up inaccurate and duplicate citations. These happen naturally over time, particularly if a business moves locations or has inaccurate information listed and spread. Either variety damages your chances at earning a spot in the coveted local pack, and inaccuracies can make citation building as confusing as it is tedious. To help you audit and remove those nasty citations, I highly recommend Casey Meraz’s post at Moz, Advanced Local Citation Audit & Clean Up: Achieve Consistent Data & Higher Rankings. If you aren’t familiar with how manual citation cleanup works, or haven’t tried more advanced search methods, I’d strongly advise starting with Meraz’s post before continuing today’s tutorial. His post covers some advanced methods that can help identify citations you’re missing or need to correct, making it an excellent starting point aside from a good old Moz Local search. 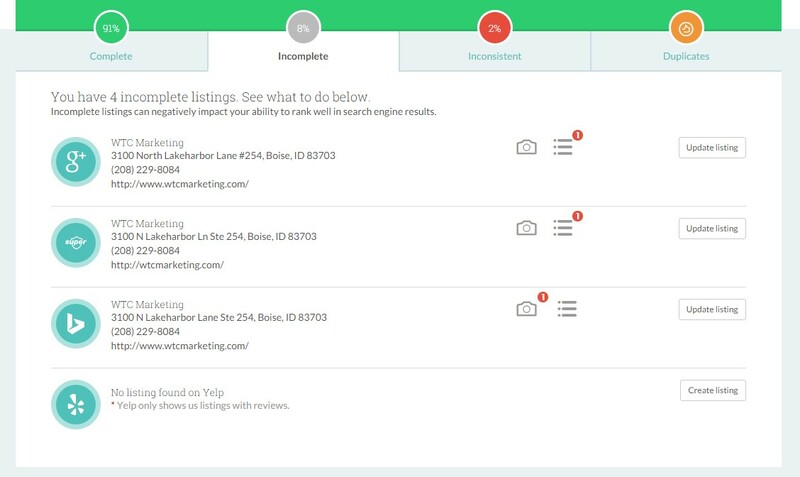 Moz Local can offer a great starting point when identifying where your listings stand. 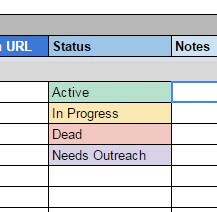 In addition to his extensive search strategies in identifying citation issues, he offers a helpful template titled a Citation Repair Spreadsheet. His post illustrates how to record your current information along with NAP variations and the citation sources you’ll be working with. While his spreadsheet is comprehensive and easy-to-understand it is a little difficult to use in practice -- which is what leads us to this tutorial. While Casey’s template works, I decided to provide a new, more organized template for a few reasons. I found toggling between spreadsheets distracting to cross-reference present information with citation sources. I also found the data fields to be limited, meaning I’d have to dig for accurate information when advanced options are presented in submitting listings. Although name, address, and phone number are the essential parts of a citation, there’s much more information that can be required. This information should be included in any template to streamline data entry while creating and updating citations. That’s where this alternative spreadsheet comes in, simplified and adapted from a version used by the WTC Marketing team. Spreadsheets are totally riveting and you’ll never convince me otherwise. Check it out here. Feel free to make a copy on Google Drive or download for Excel by selecting File > Download as… > Microsoft Excel. This template is an all-in-one spreadsheet you can use to input existing citations, duplicate or inaccurate citations, and fresh citation opportunities. To make the process easier all around, this document features a floating header to help you reference data to be entered as quickly and consistently as possible. It also contains some simple conditional formatting to help organize your data. The information panel at the top includes Basic Details, which should be required for just about every basic listing, along with Advanced Information for fleshing out profiles when applicable. If you share a contact email for this project, input that information for all peers involved here under Outreach Login. Citation Name: This should be the root domain of your target citation source (i.e. Manta.com). Consistency in how you enter these names is important here since this column is conditionally formatted to help you detect duplicate targets. Submission URL / Email: This is your target contact form or e-mail address that you’ll use when you’re ready to make contact. Login Credentials and Password: If you’re required to have a username to create or claim your listing, enter your information here. Live Citation URL: Once you’ve acquired a citation, or if one already exists for one that you need to claim or remove, enter your listing’s specific URL here. Status: By typing one these four options as you work on a citation, your status will be color coded to help categorize your targets later among the various categories -- which I’ll describe in a moment. Notes: Begin each note with whether or not the existing citation has inconsistent information or is a duplicate -- these details should play an important part in how you’ll outreach. Other than these features, use this space to note actions taken on specific dates with each target and special circumstances to help maintain consistent follow-up. From row 13 down, you’ll find color-coded groups to input citation sources. Live Citations (Current Month / Year): The top categories, those containing “Month / Year”, help serve as a timeline when your new citations are acquired. Creating new groups for each month of citation building will make it easier to identify where citation issues may be clustered, depending on when NAP changes occur for example. In Progress: These are citation sources that you’ve contacted and are waiting for a response, useful for sorting targets who need further follow-up or monitoring. Needs Outreach: This section provides a place for inputting new opportunities, in addition to inconsistent or duplicate targets. Dead: If your outreach results in rejection, you can choose to make a note of it by placing that citation here. Duplicates Removed: Once you’ve outreached and removed a duplicate citation, make a note of it here. Now that you have an idea of the features and categories of this simple template, you’re ready to begin organizing and straightening out your citations. While manual citation building is always an arduous task, keeping careful notes of your progress with a thorough spreadsheet can drastically reduce the headache quotient later on. If you need to learn more about local citations before you begin, I recommend Moz’s The Local Learn Center. If you need some pointers on Google Docs in particular, check out Google’s resource center here. What does your process look like when conducting citation cleanup and building? Have any other tips or tricks you’d like to add to this template? Leave a comment below and say hi on Twitter @timwhand. 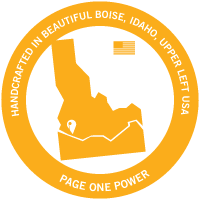 Tim Hand is an SEO Specialist with Page One Power who writes about SEO, small business management, and marketing strategy. 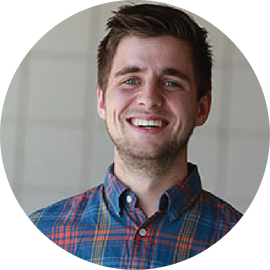 After graduating from the University of South Carolina, Tim moved to the Treasure Valley to work with internet marketing startups and pursue his passion of collecting vinyl (and staring intently at tumbleweeds).